Photographed from the footpath above Boston Lodge works. 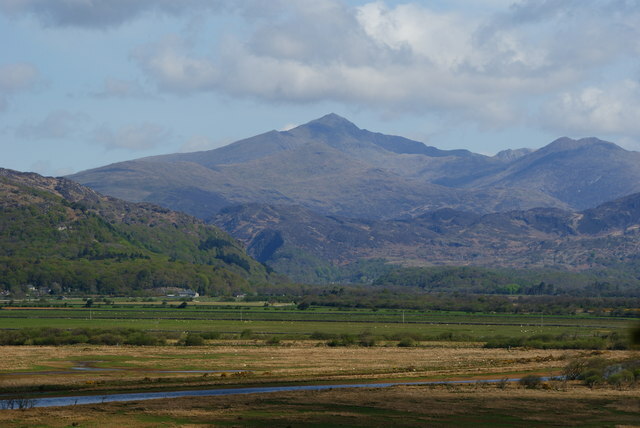 Much of the Snowdon range can be seen in this picture; the summit (Yr Wyddfa), in the centre of picture, stands at 1085 metres. In the foreground, Traeth Mawr is largely reclaimed land. This page has been viewed about 219 times.